The first international conference to celebrate the late Daniel Olorunfemi Fagunwa, Nigeria’s foremost creative writer in the Yoruba literature genre, was held in Akure, Ondo State from the 8th-10th of August 2013. 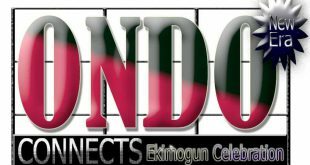 It was organized and hosted by the Centre for Black and African Arts and Civilization, CBAAC, of which Professor Tunde Babawale is the Director General in collaboration with Ondo State Government, the Fagunwa Study Group, the Fagunwa Foundation and the Centre for Black Culture and International Understanding, CBCIU, to give the pride of place to the works of the legendary writer who lived from 1903 to 1963. In marking the first half century of the death of D.O Fagunwa, the organizers of the conference whose theme was “D.O Fagunwa: Fifty Years On” and whose keynote speaker was Professor Wole Soyinka, 1986 Nobel Laureate, decided to celebrate and reaffirm Fagunwa’s contributions to African literature and culture; to re-examine his work as a storehouse of hitherto undiscovered sources of knowledge. Ondo State Governor, Dr. Olusegun Mimiko, gave the welcome address at the three-day conference which was well attended by notable stars in the Nigerian literary firmament: Professors Niyi Osundare, Femi Osofisan, Dan Izenbaye etc,. It was a worthy celebration of a man who had pioneered this genre of African literature and who had spent virtually all of his adult life in churning out books which have greatly contributed to the understanding of Yoruba folklore, traditions and idioms. He used such abundance of creative ingenuity and rare talent as never before seen in any previous Yoruba writings to coin a form of stylistic expression uniquely his and emulated by new generations of writers after him. In books after books, Fagunwa, not only displayed that he was an unmatched master of rhetoric, he proved that his understanding of the Yoruba cosmology was legendary.Starting with his first book, Ogboju–Ode Ninu Igbo Irunmole which he published in 1938, his seminal works include: Igbo Olodumare; published in 1949, Ireke Onibudo; 1949, Irinkerindo Ninu Igbo Elegbeje; 1954, and Adiitu OLodumare; 1961. 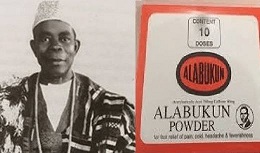 He was also credited with the authorship or co-authorship of other Yoruba novels such as: Ajala and Ajadi, Asayan Itan, Irin Ajo Apa Kini ati Apa Keji, Itan Oloyin, Ojo Asotan, Taiwo ati Kehinde. The following is a FOREWORD to a 4-page supplement on D.O Fagunwa in the National Mirror, Aug. 2, 2013 by Dr. Sola Olorunyomi of the Institute of African Studies, University of Ibadan:Fagunwa, Daniel Olorunfemi (1903 to December 7, 1963), fiction and creative writer in Yoruba language, was born at Oke-Igbo, Western Nigeria (now Ondo State), to Mr. Joshua Akintunde and Mrs. Rachael Osunyomi Fagunwa. Originally, worshippers of traditional Yoruba religion, the Fagunwas converted to Christianity and this abiding influence, most probably, informed D.O. Fagunwa to change his middle name from “Orowole” (literally the oro cult enters the house) to “Olorunfemi” (God Loves Me).He had his primary school education at St. Luke’s School, Oke-Igbo (1916-1924), after which he taught in the same school for a year (1925), as a pupil- teacher. Subsequently, he went for further studies (1926-1929), trained as a teacher at St. Andrew’s College, Oyo, and on completion got his first posting to St. Andrew’s practicing School, Oyo, where he worked between 1930 and 1939. This early beginnings have been fairly well documented by such earlier scholars as Olubummo, Oyedele, n.d., and Bamgbose.In 1936, D.O. Fagunwa submitted for competition a manuscript entitled Ogbójú Ode Nínú Igbó Irúnmalè, literally, “The Brave Hunter in the Forest of 400 Deities”. Ogboju Ode was later published by The Church Missionary Society Press in 1938. The title became quite popular and successful in pre-independence Western Nigeria, and Thomas Nelson Press took over its publishing in 1950. 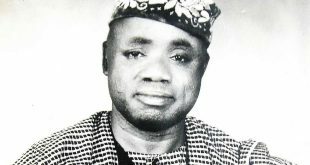 Fagunwa is often regarded as a pioneer of creative writing in Yoruba due, largely, to the fact that no other writer in that medium had as much impact and influence prior to his emergence on the literary scene.Fagunwa wrote extended fiction, short stories, biographical narrative and edited a book of folktales. His works of fiction include Ogboju Ode Ninu Igbo Irunmale (1938), “Iranse Eni Olorun Ti Lehin”(unpublished manuscript, 1939), Igbo Olodumare (1949), Ireke-Onibudo, (1949), Irinkerindo Ninu Igbo Elegbeje (1954), Aditu Olodumare (1961). In 1949, the Oxford University Press (OUP) published, in two volumes, his autobiographical account of his experience in Britain, aptly titled: Irin Ajo Apa Kini and Irin Ajo Apa Keji. The OUP had, in 1954, published Itan Oloyin, an edited work of folktales, and then in 1959 Nelson Publishers released a collection of short stories, Asayan Itan, also edited by him. Between Bamgbose, Ogunleye and George, we learn that in 1995, Fagunwa co-authored, with L.J. Lewis, a primary school Yoruba reader, Taiwo ati Kehinde published by Thomas Nelson, and with G. L. Lasebikan, the short story Ojo Asotan, a 1964 Heinemann posthumous publication. 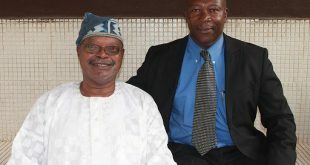 Over the period, readers and critics have come to make a connection between the works of Fagunwa and the novels of Amos Tutuola. With Wole Soyinka’s1968 translation of Fagunwa’s first novel, Ogboju Ode Ninu Igbo Irunmale, into English as “The Forest of a Thousand Daemons”, critical attention has been further focused on the works of Fagunwa. Besides Soyinka’s effort, other authors such as Dapo Adeniyi and Wale Ogunyemi have translated and adapted Fagunwa’s works, respectively. Adeniyi’s Expedition to the Mount of Thought: the third saga: being a free translation of the full text of D.O. Fagunwa’s Yoruba novel Irin kerindo ninu Igbo elegbeje (Adeniyi, 1994), while Wale Ogunyemi’s Langbodo (1979) is a dramatisation from Soyinka’s/ Fagunwa’s The Forest of a Thousand Daemons.Stylistically speaking, the Fagunwa novel is highly ingested with the autobiographical element; almost invariably, the author identifies with the scribe or note-taker who jots down the story. This authorial intrusive technique, as found in some works of other African writers such as Meja Mwangi and Dambudzo Marechera, betrays a decidedly ‘postmodern’ streak across Fagunwa’s oeuvre, but also one that is residual in the antecedent oralist Yoruba culture. Beyond this, as Bamgbose has aptly noted, Fagunwa habitually stages a moment of meeting between the novel’s hero and the writer, after which he’d make the hero commence the narration, and by and large becoming, himself, the ‘fictional author’ referred to in the narrative. Of all his works, this device is most compelling in Ireke Onibudo (fictional author described as “omo Akintunde ti ise omo Beyioku”) and Igbo Olodumare (replete with details of Fagunwa’s matrilineal line). The typical Fagunwa fiction is replete with the Yoruba folk-tale woven into a longer narrative, a diffusion of character types that admit of shades of the living and the dead in social and natural life. Other aspects of the autobiographical as reflected in his fiction could be deceptively familiar as would be found in the landscape and setting, usually rural and highly forested, hilly and venturesome for the hunter.Usually, his hunter hero-type is also a wanderer of sorts, journeying into far lands in order to return and relive to his community the wisdom acquired from his sojourn. In spite of the fantasy-likeness (which could be animist realism) of his works, they nonetheless bear quite close resemblance to the Yoruba environment, both literally and metaphysically. It is as much a world of witches as well as sagely priests, of gnomes as well as ballpoints. If the Fagunwa plot structure appears lose, thereby defying the traditional assumption of sequence or chronology, with the living casually commingling with the dead, sudden animation of the inanimate, beholding of forms without shape, attending to disembodied voices and the stepping in and out of the everyday cycle of events and experience, this is because he is substantially indebted to the Yoruba folkloric narrative style.Along this, there is an inescapable feeling of the picaresque flavour in his fiction. This is hardly surprising, as Fagunwa’s influence is quite varied. As George has noted, he draws from the nuances and robustness of the Yoruba narrative tradition(s) as well as the European creative tradition that comes down from the Christian Bible to John Bunyan’s Pilgrim’s Progress and other such authors made popular in the colony. In 1955, D.O. Fagunwa won the Margaret Wrong Prize for his writings, and by 1959, was conferred with the honour of M.B.E.Aside his literary endeavours, between 1955 and 1959, Fagunwa worked as an administrator and educationist with the publishing arm of the Ministry of Education in Western Nigeria; and from 1959 till his death on December 7, 1963 he was the representative of Heinemann Educational Books in Nigeria. In a way, the near-dramatic nature of this death, suddenly falling into the River Niger at Baro, and drowning, while waiting to cross by ferry, further seems to power on the narrative of alternate realities that has come to characterise his fiction. Ultimately, by the sheer breadth of his creative coverage in Yoruba language literature, the tendentiousness of his style and the underlying, inaugurative philosophy of his aesthetics, Fagunwa remains an exemplar of literary adaptation— a bridgehead of an age-old, ebullient tradition of oralist aesthetics and an emergent literacy, indexical of Yoruba cultural modernity.